Cosy advent lights in antisipation of Christmas, last sunday we lit the second candle counting down towards the festive hollidays. It is perched on top of on Expedit shelves I bought from IKEA. 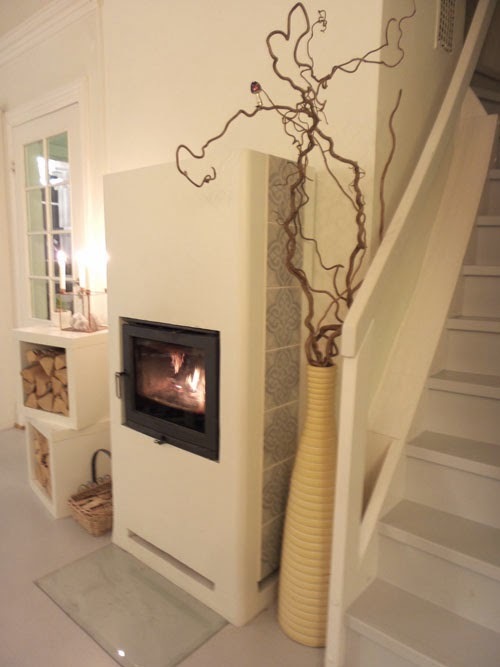 Winter has finally arrived and it is getting colder and ligting the fireplace gives a warm and cosy feeling. 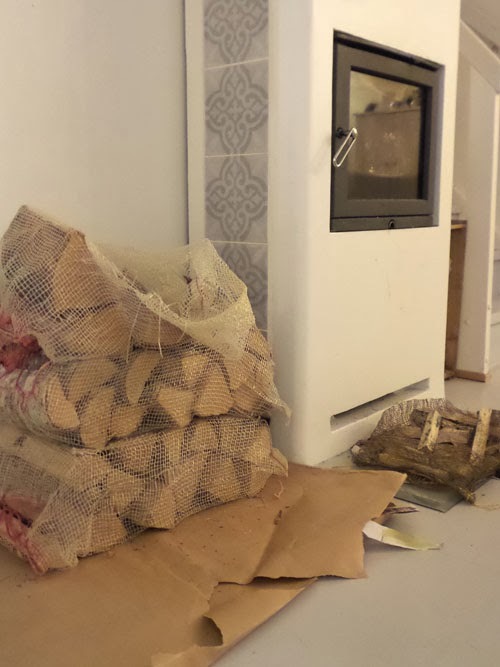 I got some fire wood and did not have a nice way to store it, so I just sett it on top of some brown packaging paper. As you can see from the picture below it does not look very nice. 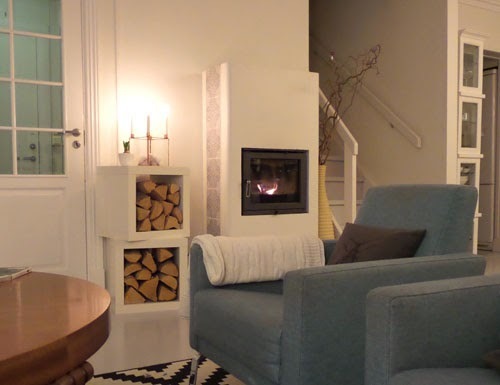 What I really want is a built in niche to put it in, but that means I have to get rid of the fireplace and construct a new one, to much hassle for wood storage. 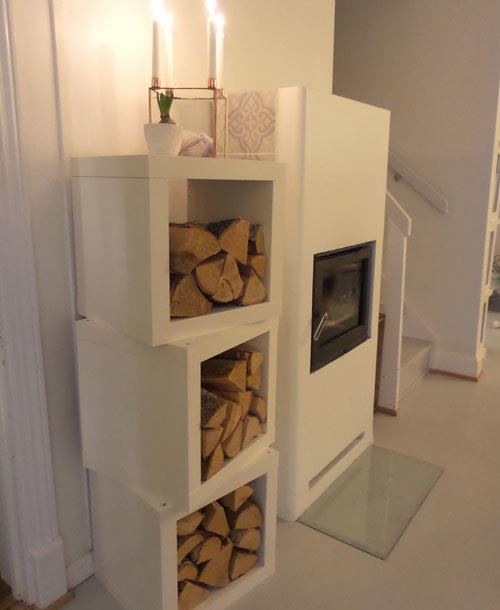 Then I got this bright idea that I can use shelves to store the wood. It would be nice to stack three on top of eachother, but as you can see only the top tile is showing. I am not really sure yet, I might end up with three during winter and put one of them away during the warmer seasons.